Bangladesh Road transport Corporation (BRTC) Job Circular 2019. Application deadline is See The Circular. Bangladesh road transport corporation want to recruit many category. It’s a huge opportunity to unemployed people Who want a job in This sector. This job circular will help a huge number of people. Bangladesh road transport corporation job circular 2019 has been converted to an image file,so that people can easily read and download this job circular. Bangladesh road transport corporation job circular 2019 has been given bellow. Bangladesh Road transport Corporation (BRTC) Job Circular 2019. Application deadline is 25 April 2018. Bangladesh road transport corporation want to recruit many category. It’s a huge opportunity to unemployed people Who want a job in This sector. This job circular will help a huge number of people. Bangladesh road transport corporation job circular 2019 has been converted to an image file,so that people can easily read and download this job circular. 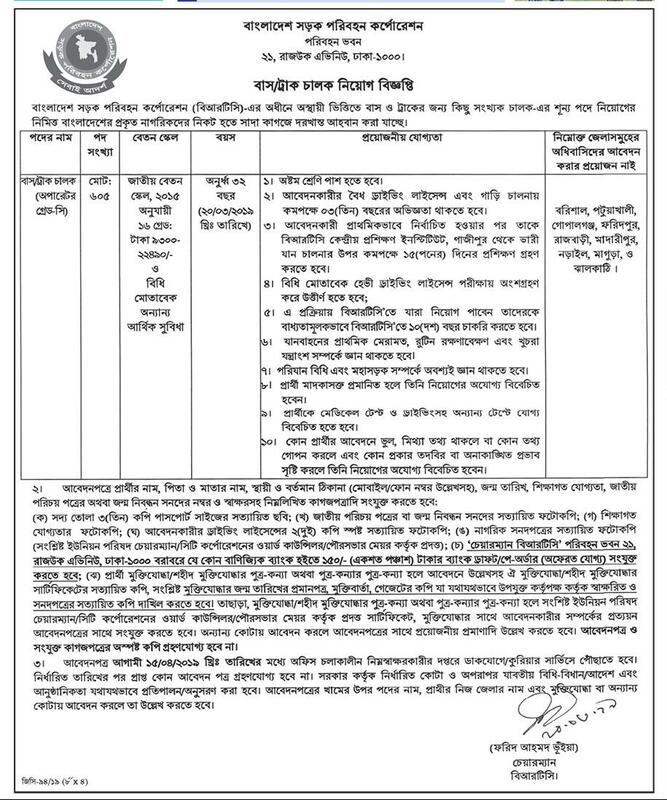 Bangladesh road transport corporation job circular 2019 has been given bellow.